Microsoft plans to release the next feature update for the Windows 10 operating system in March/April of 2018. The company switched to a "two feature updates per year" release schedule which means that it will release a feature update in the Fall as well. Leaked documents suggest that Microsoft calls the update Spring Creators Update. The company has not revealed the name officially yet, though. We have a pretty clear picture of the changes and new features in the Spring Creators Update thanks to the Windows 10 Insider program and the updates that Microsoft pushes to systems running on the update channel regularly. What can you expect? The new version introduces many changes to the system, many of them under the hood. Microsoft continues its migration from the Control Panel to the Settings application, Fonts or Sound settings for instance, but it is still happening in snail speed. Microsoft continues its habit of renaming features and moving settings around. The new version lacks major features. 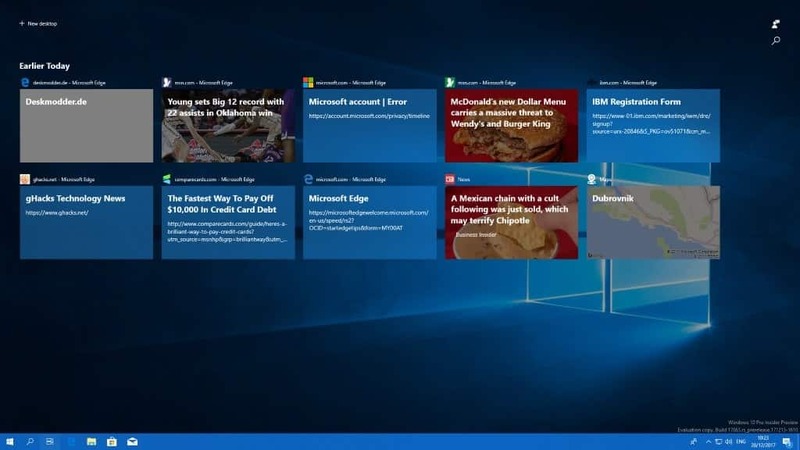 There is Windows Timeline, an update to Task View, but that is about it. Microsoft Edge and other areas did receive lots of improvements but none that I'd call major. There is plenty to discover, however, despite the lack of major new features. What are the major new features of the Spring Creators Update for Windows 10? Timeline improves Task View, a feature of all recent versions of Windows that users can activate with the keyboard shortcut Windows-Tab. A visual representation of open program windows opens when you use the shortcut in earlier versions of Windows. Timeline improves the view by adding information of past activities to it. Think of websites that you opened in Edge in the past or music you listed to on Spotify. This works across devices so that you may re-open websites, documents or music playlists even if you are on another device. The feature is limited to select programs like Microsoft Office or apps like Edge, Maps or Sports. Microsoft plans to extend the functionality to its mobile apps. Diagnostic Data Viewer and option to delete diagnostic data. If you use a local account to sign-in to Windows, you may recover that account from the lock screen in the new Windows 10 version. Windows Defender Application Guard for Windows 10 Pro. Windows Sets won't be introduced in the Spring update. Sets introduces tabs to program windows so that you may "merge" multiple programs or apps in a single window using tabs. This works similarly to how programs such as Stardock Groupy work. Cloud Clipboard, a new cloud-based clipboard to access the clipboard across devices, won't (likely) ship in Windows 10 Redstone 4. Eye control improvements: easier navigation, quick access to common tasks and pause function. Narrator is enabled in Safe Mode. Turn automatically hiding scrollbars off under Settings > Ease of Access > Display. Game Bar improvements: settings easier to use, clock display. HDR functionality unlocked on more Windows PCs. Multi-GPU systems graphic settings to set application preferences under Settings > System > Display > Advanced graphics settings. Autofill cards on web forms. Edge prompts to save card information and if you accept, may offer the card information in the future. Also, form fill for address fields. Clutter-free printing support. Enable the "clutter-free printing" option int the print dialog to enable it. Developer Tools: dock the Developer toolbar vertically. Edge supports OGG Vorbis and Theora thanks to the Web Media Extensions package. Full screen mode (F11) displays the address bar so that you can navigate to other sites using it. Free EPUB ebooks can be saved in Edge. Hub View: improved to show more content. Navigational elements such as favorites or history listed to the left of the content. inPrivate Mode: run extensions and autofill passwords. Mute audio for individual tabs. Passwords: never save passwords for sites. Reading View enhancements: Grammar Tools to "enable new comprehension aids", full-screen reading experience, improved roaming for process and notes across devices, improved library experience, EPUB Media Overlays support, and more. Access UWP options from Start (right-click > More). Application execution aliases in Settings to run apps from the command prompt. App version numbers are shown now in Settings. Bluetooth: streamlined pairing and connecting to "certain" Bluetooth devices. Windows 10 shows a notification when it detects a compatible device so that users can initiate the pairing process from the desktop. Cortana collections merged with lists. Cortana notebook has a new look. Cortana suggests activities that you may want to resume. Customize list of folders that you use often in the Start Menu. Fluent Design effects across the board. 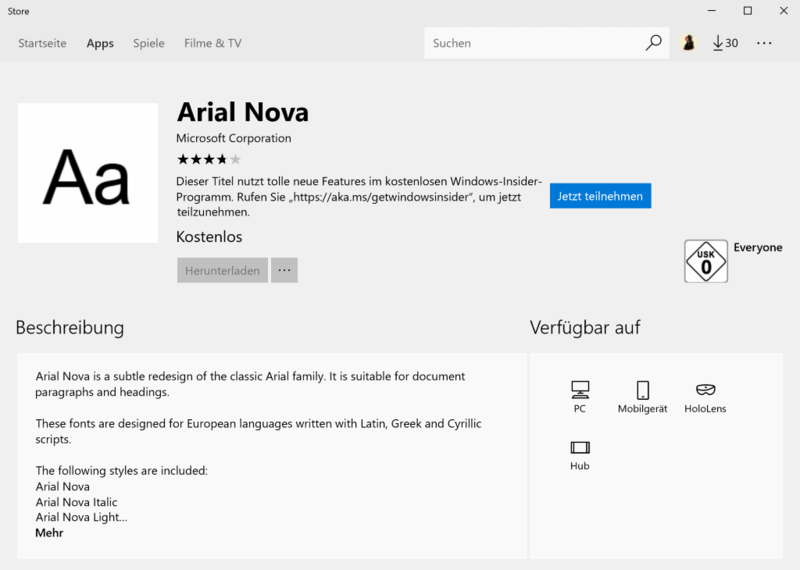 Fonts moved to the Settings application and fonts are offered on Windows Store. Localization changes: Language Packs are available through the Microsoft Store, and Region & Language section of the Settings app. My People: drag and drop rearrange, change number of contacts, and more. Near Share to share data between two devices wirelessly using Bluetooth. Quiet Hours renamed to Focus Assist. Access is now available from the Action Center icon, may turn on automatically (when playing DirectX games, presentations). Settings app has a new look. Sound Settings with new "app volume and device preferences" page, moved to Settings. Storage Settings with disk cleanup functionality. Touch keyboard multi-lingual text support to write in multiple languages without switching keyboard languages. Touch keyboard and handwriting panel improvements. Control access to pictures, videos and documents folders for UWP apps. Diagnostic Data: data that was collected by Microsoft can be deleted under Settings > Privacy > Diagnostics & feedback. Diagnostic Data: you can view the collected diagnostic data now. File System Access permissions for UWP. Block UWP applications from accessing the file system and display a prompt to give or deny consent. Privacy Settings are sorted in categories in the Settings app. Security questions for local accounts. Settings > Update & Security > Windows Defender renamed to Windows Security and redesigned. View and delete the personal user dictionary under Settings > Privacy > Speech, Inking & typing. Windows Defender: New account protection pillar and device security pillar functionality. 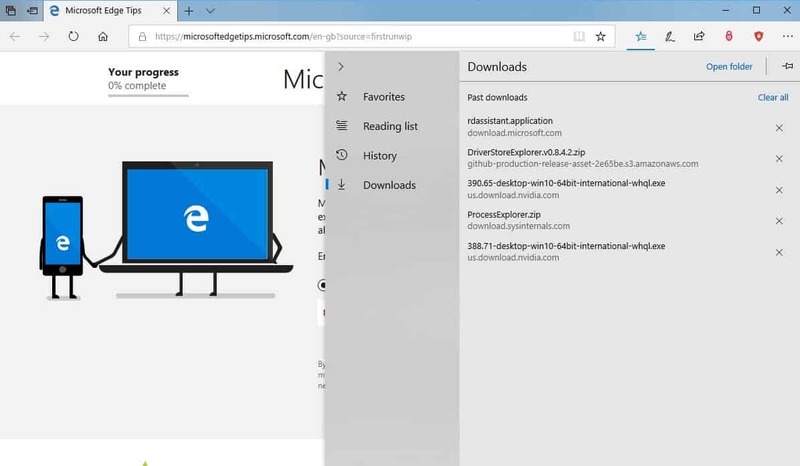 The first will encourage users to use different login methods for faster sign-in, the second lists security features integrated into the Windows device. Windows Hello setup improvements by setting it up straight from the sign in screen. Enterprises can run custom actions and scripts during feature updates. Enterprises can run post rollback scripts. Ultimate Performance power scheme for Windows 10 Pro for Workstations: even better performance but requires more power and may impact hardware. Windows 10 Pro for Workstations systems get a different set of default UWP tiles and apps after setup than consumer versions of Windows 10. Now You: Did we miss a change? What are your favorite changes in the update? Our Windows 10 Spring Creators Update features overview lists all major and minor changes and improvements in the Redstone 4 update for Windows 10. Great, more snake oil, just like “Gaming mode”. Exactly a year ago people were like – “omg this gaming mode on windows 10 is so cool and brings so much performance improvements! !11eleven”; and it turned out that it made no difference whatsoever, with very few exceptions where it actually hurt the performance of the machine. Yeah, as uninspiring as its name, this update is.. I don’t think you should nor may address this as “spring creators” update. to much risk of confusing this with the 1703 update. I think creators should be limited to the 2017 updates. Win 10 1803 = Spring Creators Update. So lame and non-creative of M$. ……. What will they call Win 10 1903.? Spring Darwin Update.? What will they call Win 10 1809.? Fallen Creators Update.? Win 10 1809 = .? Win 10 1903 = .? Yes indeed. Makes you wonder: Why are Microsoft so bad at naming stuff? Often confusing and they keep switching the naming format. Why not the plain but informative “2018 spring update”? Or if they want something memorable make up a theme (cakes like android or animals like canonical or cars or whatever) and then stick to it from year to year. This proves that new features is not the main reason M$ came up with 2 upgrades per year for Win 10 as touted by M$, compared to one upgrade per 3 years for previous versions of Windows. ……. The likely main reason is for M$ to milk more ca$h out of their cash cows, ie the enterprises, who have been mostly trapped or snared by the Windows software eco-system, eg many business software are only available for Windows – similarly for popular games. Previously, new features could be introduced into Win 7/8.x by M$ during the 1st five years of mainstream support, eg through Windows Update and/or Service Packs. So, there was no technical reason for M$ to change this aspect of Win 7/8.x for Win 10. And we still can’t have OtabBar features baked in Win 10. If You run LTSB You don’t get any new feature updates at all. It is a stripped down Windows 10; no app store, no apps, no Cortana, no Edge and more, but with corporate tools. It is far more stable than other versions of 10. I tried LTSB 2015 and it was rock solid the time i tested it in a VM. I have 2016 now, but i haven’t tested it yet. Yes, Win 10 Ent LTSB is like the previous Windows versions, ie Win XP/Vista/7/8.x = one upgrade per 3 years and EOL of 10 years; but LTSB is only available to the enterprises and not to consumers. ……. Evaluation copies of LTSB don’t count because they can be stopped by M$ at any time. For the enterprises, Win 10 Ent LTSB Volume Licenses cost twice as much as the normal Win 10 Ent VL. ……. To upgrade Win 10 Ent LTSB, eg from Win 10 Ent 2015 LTSB to Win 10 Ent 2016 LTSB or from Win 10 Ent 2016 LTSB to the coming Win 10 Ent 2019 LTSB, the enterprises will have to pay again for the VL or they have already paid for additional Software Assurance/Insurance premiums yearly. ……. Such LTSB Volume License pricing by M$ is to push the enterprises to the normal Win 10 Ent where the pickings are easier and richer. So, “Windows 10 as a Service” is mainly for M$ to milk more ca$h from the enterprises. Problems faced by consumers are just collateral damage. The things you mentioned are, I suspect, just some of the reasons the IT company my brother works for uses CentOS rather than Windows Enterprise. Thanks a lot for this wonderful sum-up ! So, nothing of importance, then. At least it doesn’t appear that they’re engaging in much further degradation to the UI, though! I have lost interest in Windows 10 completely and will stay for as long as possible with 8.1, maybe even years from now. I don’t like anything about Windows 10 – not its continuous updating, nor the features constantly being forced, nor the slow performance and poor quality of everything. Windows 10 is not what I asked for. All I wanted was a stable, nag-free, headache-free, simple OS that would just leave the user alone. Something like XP, Windows 7 or 8.1 with Classic Shell. I don’t want more new features at such a frantic pace, nor do I want huge updates sucking my slow internet bandwidth. Nor do I want an OS that requires action from the user so frequently. They can’t build a non-intrusive OS any more? I am glad I am not falling for any of their gimmicky features. Every time you upgrade, they find a way to disappoint you. There is an OS that answers all your requirements : MacOS. Appel is to expensive, it’s good though but also to $minded for what it really is. They have a killer machine for + 4000$ and we can make it with loose parts around 2000$ and it’s even faster so that tells me also something. Appel and Micro are $minded and Appel is also not without bugs but better than Microotje. And Linux is great if you want to learn a whole new OS from scratch and the longest support is merely 5 years. I’m here on Xp for more than 15 years now and it’s running and kicking with an i5…. MacOS is losing the ability to run 32bit apps. It’s 64 bit or NOTHING. Switch to Linux. Linux Mint, Manjaro or Solus would be great start. No more Homegroup for instance. This is an easy way to make a home network. Why take that out !!! For me a reason to leave Miscrosoft windows !!! Is it possible to select text using a Staedtler Noris Digital Stylus? It’s all nice but I still can’t figure out what “Gyroscope: 7”, “epoch: “1102666” means? What will be on April 30 the best program to block as much as possible, without disabling the normal day to day operations for a house garden and kitchen user (a person who is not technically equipped) like me, maybe O&O ShutUp10? Or is on April 30 the program: Ultimate Windows Tweaker, Win10Clean, Winaero Tweaker, XP-AntiSpy, XTR Toolbox, W10Privacy 2.0 or any other tweaking tool that I am forgetting to mention in this list. Any suggestion Martin? I understand that you have to stay inpartiel. Maybe you can tell me what your will be using on April 30 with the new update when you where in main shoes?